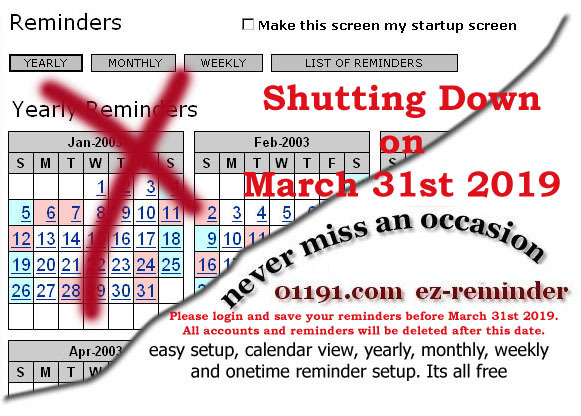 01191.COM ez-reminder is a free email reminder service. Get started in few seconds. Register and add your reminder. We will send you an email on the reminder setup date. Its free and easy.